Radio is the one medium that has stood the test of time, bypassing technological challenges in all landscapes to maintain broadcast communication. In more rural counties and countries, where a larger part of the population is employed by agriculture, the reliance on radio is much greater. Plus, trucks, tractors and combines come equipped with radio, providing farmers and ranchers with the built-in technology that they can access and are already comfortable with. As a result, radio has a very loyal ag audience. Radio connects farmers, ranchers and dealers with one another, with the minimal expenditure and technology necessary. Combine that with the amount of information it has the potential to disperse, and radio just might be the underdog of the media world. So, what does it take to keep ag radio relevant in the media mix? In a 2017 report, the National Association of Farm Broadcasting (NAFB) stated as much as 88 percent of U.S. farmers listen to farm broadcasting three or more days per week. Radio ranked as the leading source of connecting with the ag community for news, weather and market information, followed by ag broadcast television, farm publications and internet sites. Likewise, more than 70 percent of listeners are under the age of 50. Generations that grew up with ag radio continue to listen, first and foremost, because of the trust that comes with farm broadcasting. Over the years, farmers and ranchers have identified that they return to the voice on the radio when they seek information. It’s the radio that tells the story of U.S. ag as an entire system, and it’s the radio that brings them data when they need it. From dawn to dusk, radio is the sound of the past, how to prepare for the future, and what keeps ag at the table, in the news and having a voice when it’s needed. When asked why they listen to farm radio, among the responses farmers noted include “to improve my bottom line,” “to hear new or different perspectives,” and “because farming matters.” Though it has a functional purpose to communicate commodity prices and weather reports, radio is more than a vehicle to transmit news and information. It presents an authentic way to interview agronomists and university extension experts, obtains the ag perspective on global issues, and offers dealers an opportunity to make product recommendations based on problems that farmers and ranchers face. Whether it’s delving into ag politics or participation in a local event, this is why the community embraces farm radio. What this means is that radio is still a highly viable option to consider in your media mix. 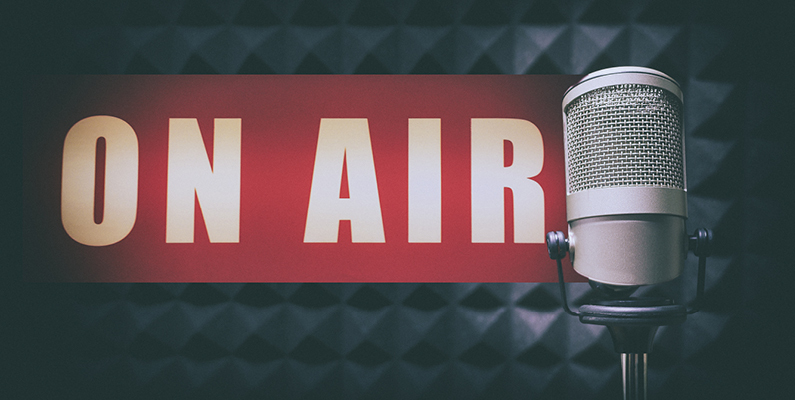 Radio provides the potential to reach an influential, yet targeted audience, for whom it’s possible to obtain demographics through market research. It can reach into the heart of the community and present endless promotional opportunities for events, conferences and trade shows. If pursuing the advertising route, radio is worth considering for frequency, immediacy and cost efficiency. Finally, radio offers an immediate and influential call to action. The great challenge of radio is that it must overcome being treated as background noise. However, this is a population that seeks relevant, localized information about their community and their operation, and that is exactly what ag radio provides.